Pete Housley is a Las Vegas Entertainment Marketing Veteran. 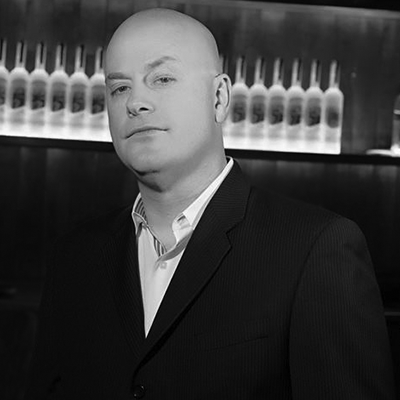 Starting in Advertising and Graphic Design for nightclubs and Gentlemen’s Clubs; Housley started producing shows in 2008 as the co-creator and co-producer for Sin City Comedy & Burlesque which ran for 10 years and won numerous awards. In 2012 he took over as Director of Operations for The Sin City Theatre at Planet Hollywood Resort Casino where he was in charge of operations and marketing for the venue as well as shows including Purple Reign, Xavier Mortimer’s Magical Dream, Murray The Celebrity Magician and many others. In addition, Housley continued producing shows including Coop and Comedy & Dolls. In 2017 Housley and team took over the operations of the Night Owl Showroom at Hooters Casino Hotel and immediately placed long-time Las Vegas Headliner Gordie Brown into the venue. Mere months later Admit.VIP took over as producer of the Gordie Brown Master Impersonator show. Hooters also allowed the launch of a long time drawing board comedy show — The Hilarious 7; which is one of Vegas’ fastest growing shows.